These weeks between the sugar rush of halloween treats and the wonderful upcoming indulgences of the holiday season can be a key opportunity to fortify your immune system, by focussing on super nutritious foods. Basic things like eating well, staying hydrated and getting enough sleep are some of the best ways to stave off colds and flus. But despite our best efforts, most of us will experience at least some sniffles durning the winter. When a bug does strike, the best tools for dealing with it are still eating well, staying hydrated, and getting lots of rest! 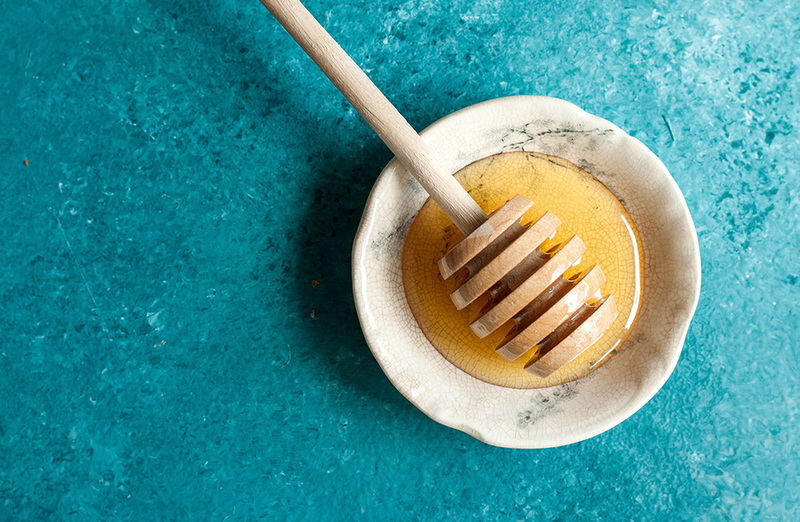 But there are a few foods that really start to stand out for easing symptoms and supporting your body’s fight to fend off the invaders, and three of the very best are ginger, lemon, and honey. Ginger offers help with illnesses on so many different fronts! For those suffering from a tummy bug, ginger’s ability to sooth a tummy and ease nausea can be a godsend. It also has anti-oxidants to help clear out toxins, and anti-inflammatory properties that can help with those dull aches a flu so often brings. And on top of that it has an antibacterial aspect, which is obviously great because the last thing you need is more germs! And, of course, it just feels really warming and comforting, which is lovely. A bag of organic lemons is a great tool to have in your flu-fighting toolbox. First off, lemons are an excellent source of vitamin C, which is a key vitamin for immune support. And, like ginger, they also have antibacterial and antioxidant properties—gargling with lemon water can help heal a sore throat faster. And lemons are reported to help reduce phlegm, helping you breath more easily and get better rest! And, of course, one of the very best things about this power trio is how well and easily they all go together. Even if you’re home alone nursing yourself, which is so often the case, it just takes a few minutes to chop some pieces of fresh organic ginger and put them in a mug, squeeze in an organic lemon half, add a tablespoon of raw honey, and pour hot water over it all. It’s warm, delicious, super soothing for you, and super tough on your flu.